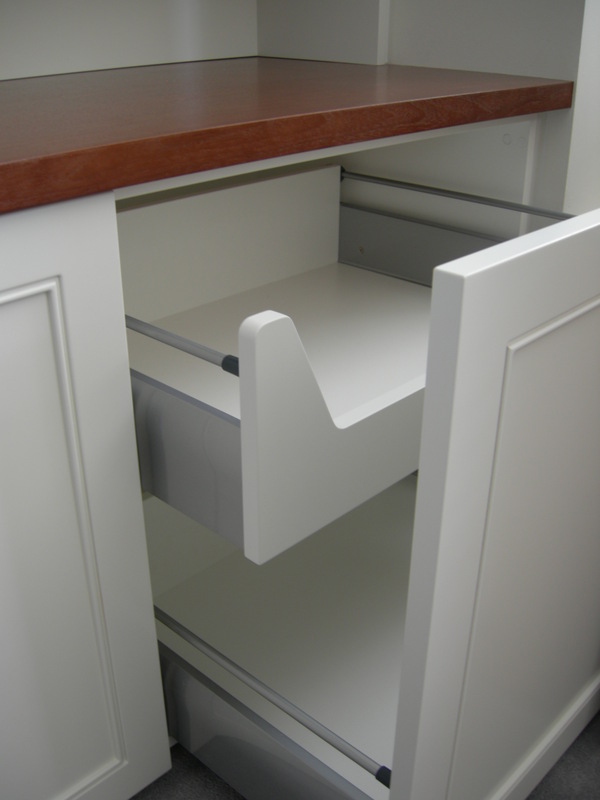 White lacquer cabinets with walnut top. Retrofitted in space by re-installing existing crown forward. 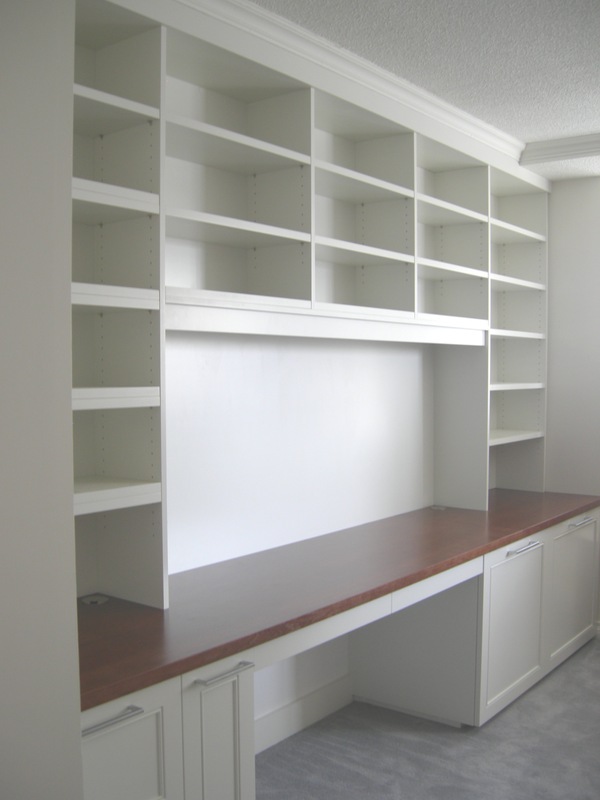 Custom pullouts sized to Professional Organizer’s storage specs. Designed by: In Good Order and Kevin Karst.